Troy Surkitt has strong ties to The Mob. In fact he’s the president. Yeah, he’s a good fella, but that’s about as close to the mafia as this mob gets. The Mob is the club of La Trobe University Bendigo’s outdoor education students, and one of the most popular clubs at the regional campus. It offers untold adventures, the odd financial leg up for club trips, plus crowd-pleasing discounts at the local pub. “It’s the uni pub and that’s where everyone goes, so you’d be mad not to join really,” says Troy. The second-year outdoor ed student says being in the club has enriched his uni experience, socially and otherwise. 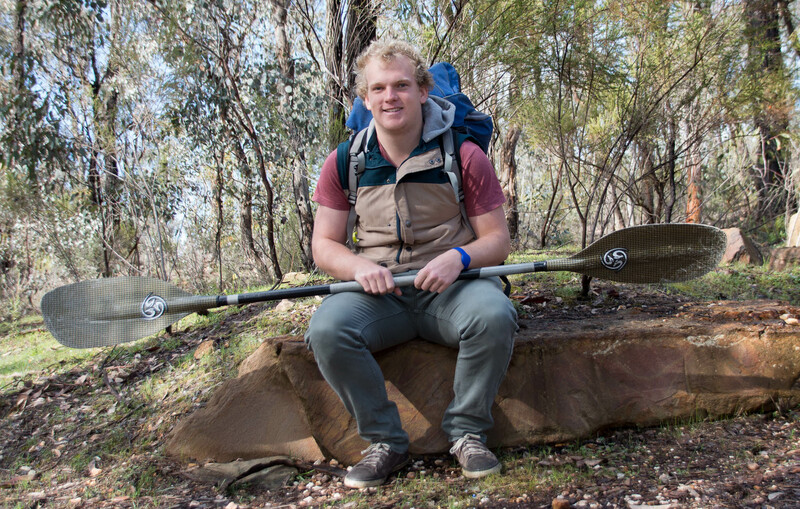 It’s given him experiences beyond his course, including a couple of club trips rock climbing at Mount Arapiles. “We’re pretty lucky to have Mount Arapiles so close, it definitely offers the best rock climbing in Australia, and it’s up there in the world,” he says. Later this year he’ll join some of The Mob to go kayaking in the Mitta River. Paddling practice has taken place over winter in the balmy chlorinated waters of the Bendigo East Swimming Pool. “We’ve got a club deal with the pool to be able to take our kayaks there and practice our skills,” he says, adding “Eskimo rolls” in the heated water is a different experience to the freezing rapids of a snow melt river, but it’s better than nothing. Troy says he’s always been most at home in the great outdoors. He grew up in Shepparton, and spent much of his childhood in the bush and by the river fishing. His gap year was spent working full time on a local dairy farm. He says studying outdoor ed will enable him to give other kids a taste of the outdoor life he loves. “I want to be able to take kids out into the bush and introduce them to a world they’ve perhaps never seen,” he says. “I’d love to work with city kids who don’t have the opportunities to go out into nature. This story was originally published by ABC Open. Photography by Louise Firli.